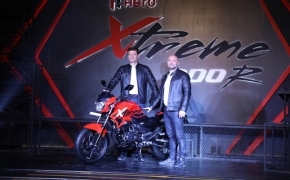 First showcased at the 2016 Auto Expo, the Hero Xtreme 200R is the first product from the house of Hero MotoCorp featured with optional single channel ABS. The look of the bike is not radical and in fact it looks based on the ongoing Xtreme model. 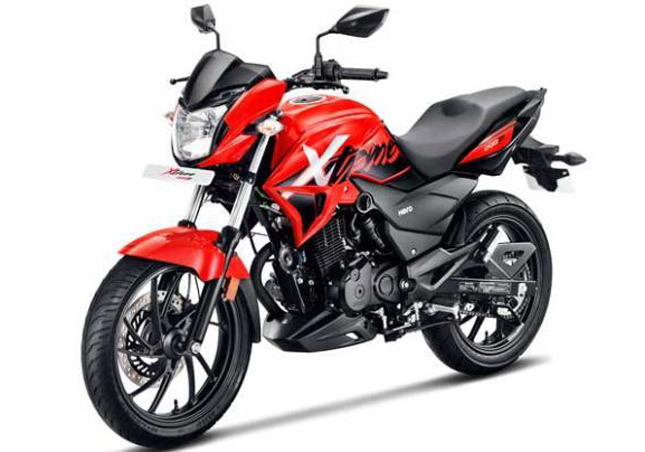 The Xtreme 200R comes devoid of Electronic Fuel Injection System (EFI) instead the company has chosen to go with the conventional CV type Carburetor. With all the rattling going on in the Indian motorcycling industry, Hero Motocorp finally decided to wake up from its slumber and give the people what they want; a new 200 cc motorcycle from the company, the Hero Extreme 200R. The company has cleverly planned to delay the launch of the spiritual successor of Hero Karizma and the eagerly awaited Hero Hastur by launching this bike. Keep in mind that they have just showcased the bike and not yet launched it. Strategically Hero MotoCorp wants to build up as much hype as possible before the Auto Expo 2018 so that their bike can remain afloat among the sea of launches. In terms of the specs, the figures are not groundbreaking. 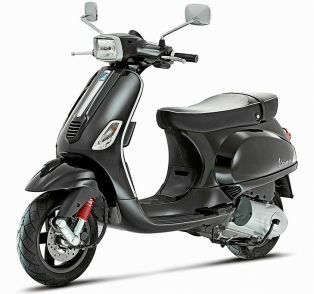 The 200 cc engine produces 18.4 PS of power and 17 nm of torque. Hero says that this all-new engine has been developed by their Center for innovation and technology, located at Jaipur and it signifies an all in-house R&D. In the front, we have telescopic forks and at the rear, we have a monoshock, which would be adjustable for pre-load. The rear also gets a chunky 130 mm tyre which enhances the overall appeal of the motorcycle from the back. The instrument cluster is a mixture of both analogue and digital. The distinguishing feature of the Xtreme, for sometimes has been its pilot lights, which in this case are LED. These are placed on the Visor and look bright enough; the front main headlight is sadly not an LED. 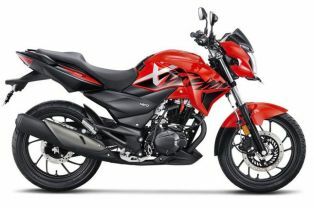 Good news is that the ABS is optional on the motorcycle but the bad news is that it will allow the company to sell this bike at a higher price point than TVS’ Apache and Bajaj’s Pulsar. Both of which offers several models of their motorcycle, thus allowing them to cover a big range of price point. The front and the rear brakes on the bike are disc brakes and the ABS acts on the front one because it is a single channel unit. 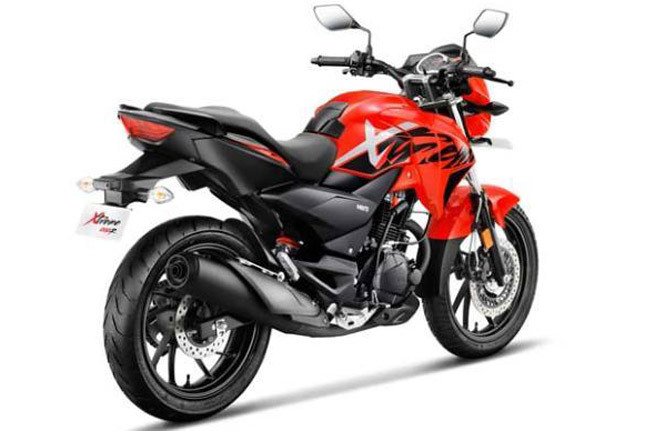 Aesthetics of the bike look strikingly similar to the previous generation Hero Extreme. The seat layout, the front headlamp and the stickers, all show their resemblance to the older bike. Tank on this bike is newly sculpted and contains enough room for a rider to tuck in his legs; a standard tank guard comes pre-installed on the bike, which is a nice touch. According to Hero Motocorp, the bike will return a fuel economy of around 40 km/l. ; seating position is expected to be Up-right on this bike considering the raised handlebars. Price is not yet disclosed and we will have to wait until the Auto Expo for the same. Considering the equipment on board, the price of this bike will be around Suzuki Intruder, which also features a single Channel ABS as well.